There can NEVER be too MUCH toilet paper in your stockpile. 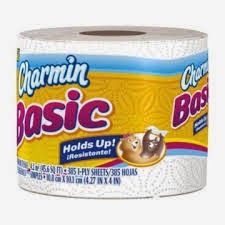 CVS shoppers, heads up about the FREE Charmin Basic Toilet Paper that people are finding this week! Stop by your local CVS and be sure to scan your CVS Extra Card at the Coupon Machine.